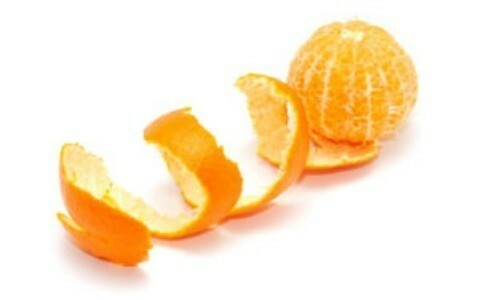 Can you put orange or grapefruit peels in your compost pile? You can successfully compost all types of fruit and vegetable peelings from the kitchen. Meat scraps, dairy products, and high-fat foods like salad dressings and peanut butter can be composted too, but it is generally better to avoid them. They produce a rancid smell when decomposing that repels neighbors and attracts animals. Breads, candy, coffee grounds (& non-bleached filters), eggshells, fruit & vegetable peelings, microwaveable popcorn bags, Popsicle sticks, nuts, paper food wraps & ice cream boxes, paper plates, napkins and towels, pasta, pizza boxes, tea leaves & tea bags, muffin liners, and wine corks. Brush, grass clippings (not chemically treated), hay & straw, leaves, pine cones/needles, plants, roots, sawdust and wood shavings, twigs & branches, weeds (not recommended). Shredded cardboard, dust bunnies, feathers, human hair, newspaper, etc. Did you know that citrus peels are also good to put into your flower bed to keep stray (or ones belonging to the neighbors, who let them run loose) animals from using the beds for their litter area. Animals do not like citrus! Maybe you'd want to snip them into strips or bits to hurry the composting. They remain recognizable a little longer than other materials, which is no problem. The simplest thing to do it to just bury them in a flower bed where they can compost however slowly they want, and be done with it. Here is what I do with my orange peel. Remove as much of the white as possible, then grind it up in my coffee grinder. Let it dry half hour or som and store in plastic bag in freezer. I now have orange rind to add to many things I bake, especially biscotti. Does the peel make compost too acidic? What about the chemicals sprayed onto the fruits? I've avoided putting citrus in my compost in the past, so I appreciate this advice. Does anyone know if it's ok to put dryer lint in compost. The lint from a load of towels should be cotton fiber. Thanks.